"Welcome to the party, pal!" Haxton signs with partypoker as a brand ambassador. Well-known high-stakes professional poker player Isaac Haxton is taking his talents to the partypoker brand. Haxton and the online poker site mutually announced that Haxton would be joining the partypoker team of ambassadors that currency includes the likes of fellow high-stake tournament grinders Jason Koon, Sam Trickett, Patrick ‘pleno1’ Leonard and Fedor Holz. Part of the growth to which Haxton refers to is the expansion of the partypoker MILLIONS brand. The MILLIONS live tournament series is expanding in 2018. Offering six events in the calendar year, all of which carry a minimum of a $5 million guaranteed prize pool. The MILLIONS Grand Final in Barcelona in early April 2018 promises no less than $11.7 million. The jump to partypoker makes Haxton on of the few pros who have been able to switch brands as an ambassador. 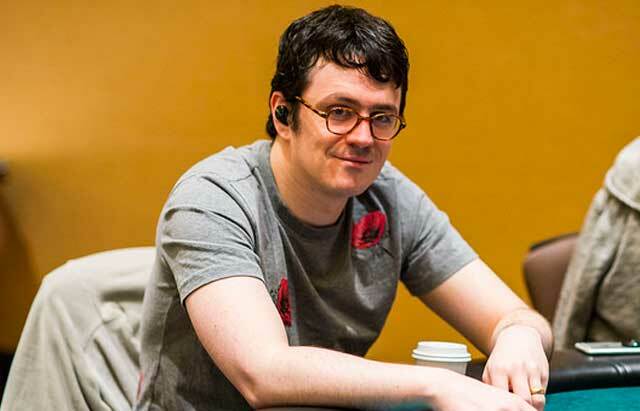 A former Team PokerStars Online Pro, Haxton joined PokerStars in 2012 only to leave in 2016 as part of a protest to the controversial sweeping changes the online giant made to its VIP program. Now, just over two years since he left PokerStars, Haxton begins a new sponsorship journey with partypoker. Haxton’s role is said to be that of a liaison between the players and the company. He will be helping to keep the lines of communications open while bringing his own voice to helping partypoker meet the needs of the players. As one of the most respected online and live players in the game, Haxton’s experience speaks for itself. He has accumulated over $15 million in live tournament earnings and currently sits ranked as #21 on the Hendon Mob All-Time Money List. Haxton will be joining his fellow ambassadors in wearing the partypoker patch during live appearances including the remaining events of Season One as well as Season Two of the partypoker MILLIONS live events.